A metal detector is a tool that detects presence of metal. It is an electronic instrument that helps find metal in objects or buried metal objects. It typically consists of a handheld component and a sensor probe swept over the ground. If metal is detected, a needle on the indicator moves or there is a change in tone in the earphones. Most devices also indicate the distance of the metal. The nearer it is, the higher the tome or the movement of the needle. There are also stationary types or “walk through” detectors that can conceal metal objects in one’s body or things. These are used for security screening in public places, courthouses or prisons. The simplest one uses an oscillator that produces alternate current passing through a coil that produces alternate magnetic field. The first metal detectors were created in the 1960s for industrial applications. They were used in detecting land mines, weapons in airport, treasure hunting, archaeology and geophysics. They were later developed to be used in various industries. You can find them being used to detect reinforcing steel in pipes, wires or concrete buried in floors and walls; or to detect foreign objects in food. Today, they are used in various countries and purposes. They are useful in archaeology, civil engineering or as a hobby and in security. This complete guide will tell you the basics of metal detectors, its types and your options in which to buy. 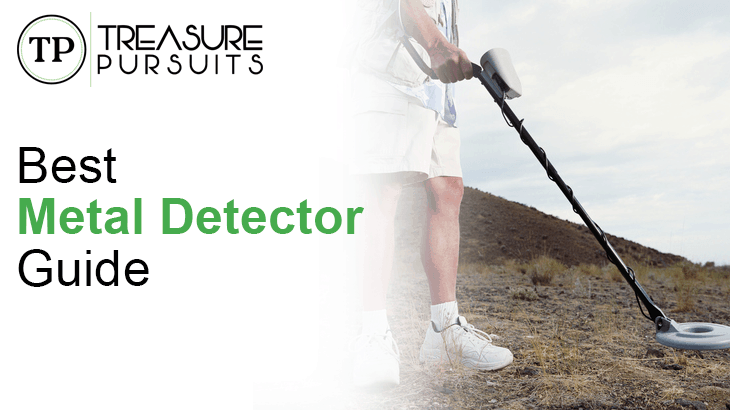 You can also learn about the important considerations in buying a metal detector. There are several types of metal detector, but the most widely used is the VLF, or the Very Low Frequency type. A typical one should be lightweight with a control box, stabilizer, shaft and coils. In order to understand how metal detectors work, you have to learn what these components are for. To make it simple, most metal detectors work based on the laws of electromagnetism. The instrument uses battery to produce a penetrating magnetic field in the ground. Metallic objects will be charged with magnetism below the ground and sends a signal to the detector that alerts the user. 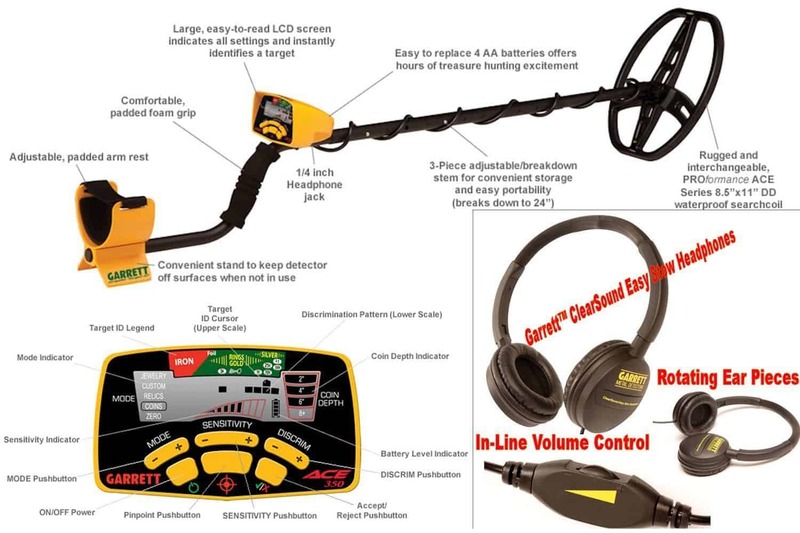 BFO is the most basic metal detector technology that uses Beat Frequency Oscillation. It uses two coils of wire, one large and one small. The larger one acts as the search head or search coil that locates the metal. The small coil is found in the control box. The coils are connected to the oscillator that creates large numbers of electronic pulses of current every second. Frequency is quite offset between these coils. As electronic pulses pass through the coils, they generate radio waves picked up by a tiny receiver inside the control box. This produces audible tones based on the difference on frequencies between the coils. When the larger coil detects a metal, the current that flows through it creates a magnetic field around the metal. This interferes with the radio waves’ frequency that produces the audible tone. BFO uses the easiest and least expensive technology. Pulse Induction technology uses a single coil as both receiver and transmitter. Some use two or three coil series. PI sends electricity passing through the coil, causing magnetism. When the bursts of electricity end, the magnetic field reverses polarity and collapses, producing sharp electric spike. The spike causes another current to run through the coil. This process is repeated until the detector is given different current reports on the type of metal sensed. If the detector is over a metal, the bursts produce opposite magnetic field in the object. When the bursts stop, it causes a reflected pulse. The metal’s magnetic field makes it longer for the pulse to disappear. It works just how like echoes, which makes the PI type not so good in differentiating between metal types. However, they do well in areas with salt water and metals. Also known as Induction Balance, VLF technology is more widely used among the different types of metal detectors. This system uses two coils, one acting as transmitter that swiftly gives off electricity. The other acts as the receiver and antenna to pick-up and increase frequencies from metals. A current passes through the coil, creating an electromagnetic field. The magnetic field is pushed down into the ground and pulled back out. As it goes back and forth, it reacts with any conductive objects and generates its own magnetic fields. The polarity of the metal’s magnetic field is the opposite of the magnetic field of the transmitter coil. VLF type of detectors can distinguish metal types through phase shifting. Phase shift is the variance in timing of the frequency of the metal and the transmitter coil. Highly conductive metal has longer phase shift, as its magnetic field takes longer to alter. On the other hand, less conductive objects’ magnetic field takes quicker to alter due to the smaller phase shift. VLF detectors are excellent in identifying types of metal but are more expensive than the others. Stabilizer: it keeps the detector steady as you sweep it over the ground. It is usually a brace that add comfort in supporting the detector’s weight. Most manufacturers include stabilizers as standard component of metal detectors though there are some that offer them as optional equipment. Control Box: the “brains” of the metal detector, where the controls, circuitry, speaker, microprocessor and batteries are found. Some models contain jacks for headphones. Shaft: The shaft is the one that connects the search coil to the control box. Detectors vary in the design of the shaft. Some are shaped like a flat S, which places the LCD/meters, and control in easy adjustment and viewing. Some are adjustable so users can set the right distance according to their height. Search Coil: the part responsible for sensing the metal. It is also called search head, antenna or loop. Audio Jack: this is used for connecting the headphones. Headphones may or may not be found in detectors, but having them eliminates background noise so users can focus on the tones that tell the presence of metals. Headphones may also extend battery life for less current is required and operating time is significantly increased as well. Metal detecting is now a hobby enjoyed by people who love finding things. Before, metal detectors were developed for industrial use but now, the market has widened for consumers buy them to suit their hobby. Objects like old coins and jewelries can be found and it could be fun. Some even look for treasures buried under the ground. Detecting metals for treasure can be exciting, and it is now a growing hobby in the country. If you are out to look for the best metal detector, that one is actually what best suits your needs. You can certainly choose the right one that suits your budget, location and interest. To make things easier for you, we’ve come up with the review of some of the best metal detectors according to category. There are many good models of metal detectors for those who are just starting to treasure hunt or locate metals as hobby. The best ones to buy are those that are lower in cost, easier to use and well reviewed by actual users. Below are the metal detectors that fall under these criteria so you know where to start. Priced at less than $100, the Bounty Hunter Tracker IV is ideal for beginners for it will let them explore the basics of the hobby. It is a rugged detector that is great to use in extreme conditions. It features 3 different modes, the motion all-metal, discrimination and the 2-tone mode. It is preset to neutralize response to minerals. The controls distinguish between good targets and unwanted objects. Garrett Ace 250 is also ideal for beginners. It is easy to use and it features a simple display and minimal configuration. 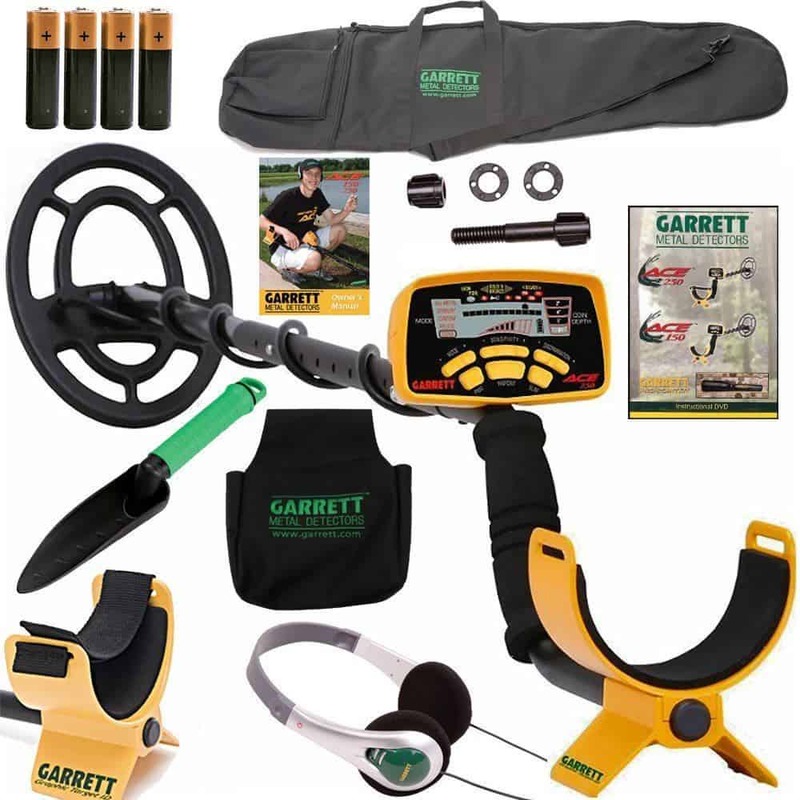 Garrett is one of the most popular brands of metal detectors due to the mentioned reasons. It features detecting mode, battery monitor, coin depth indicator and target ID. Everything is labeled clearly, while the buttons are large enough not to be confused. The package includes a search coil, 4 AA batteries, headphones and instructional DVD. 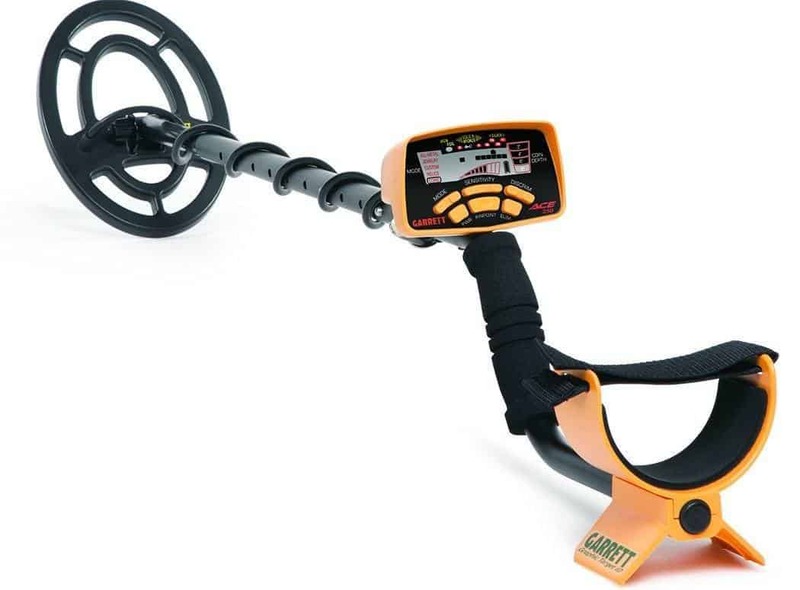 The top three best metal detector for beginners is the Garrett Ace 350. This one is a higher end model among entry-level detectors. It is a bit pricey for beginners, but if you don’t have budget for Pro models, this one is a good option. The display almost looks the same as Garrett 250, but the 350 has iron resolution and gold area that makes 350 better in targeting things. The display also includes sensitivity indicator. Garrett 350 is available at Amazon in a few packages with different inclusions. There are metal detectors for beginners, mid-level users and experts. The latter is the most difficult category. The reason is that experts might look for a detector that will search for a particular target, such as gold nuggets or coins. Experts may want to buy something more expensive and enjoy the benefits of functionality and more advanced features that will suit their interest. Garrett is a standard name in metal detection. 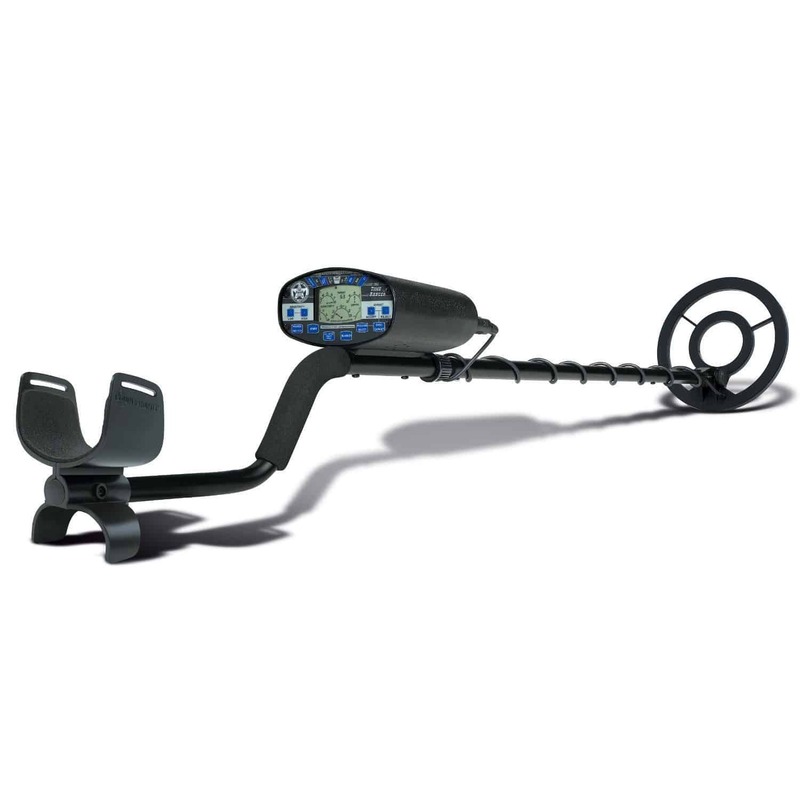 It has a broad range of models and one of its premium units is Garrett Infinium LS Metal Detector. It boasts an optimal 10 or 14-inch coil, which is submersible up to 200 feet. It has a double D coil that allows hobbyists to cover more ground for a more accurate detection. Hunters will have an idea of what they are searching, for this metal detector can detect separate objects that are near each other. It is priced higher than most metal detectors but lower compared to the more advanced models. Minelab Excalibur is a well-known all-weather metal detector, and its makers released another version called Minelab Excalibur II. This one performs well even on extreme ground conditions. It can locate metals on larger depths and rids false babble on minimal adjustment. It also uses double D coil but unlike others with the same feature, Excalibur II can discriminate well between buried objects. It is waterproof and can perform well under 200 feet. 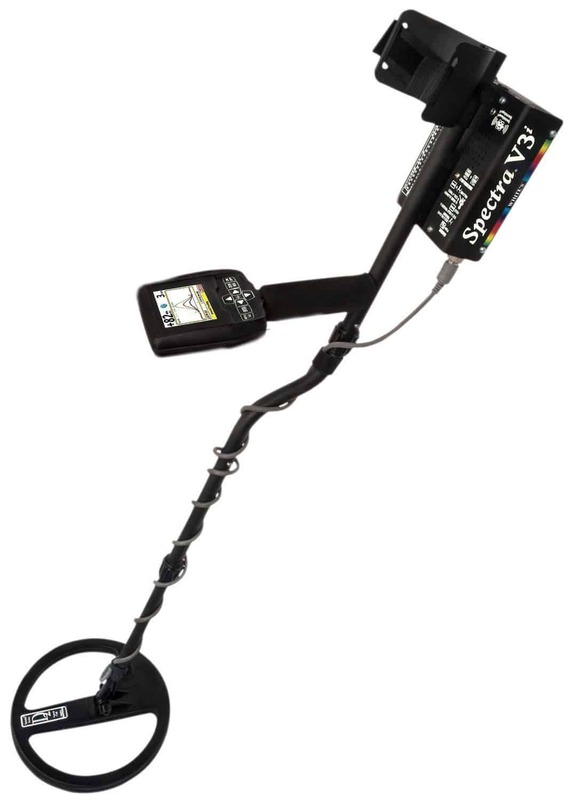 White’s Spectra is a well-reviewed metal detector. This model is among the most innovative detectors around. Expert hobbyists find it suitable to their level of interest. The instrument can be updated through software programming. Upgrading makes it a valuable investment as it lasts longer than the others do. The LCD display is easy to read, and the manufacturer provides up to 6 upgrades that makes the detector versatile. You can opt for wireless headphones and perceive frequencies easily. Parents can buy their little ones metal detectors that suit their age. Metal detecting can be a fun learning activity for children. It can build their character or stimulate their imagination for the hobby requires patience, problem solving and perseverance. There are models that are less than $100, and they can locate most metallic objects that kids would want to find, from coins to gold, jewelry and others. The Bounty Hunter Junior is great for kids first because of its light weight. They won’t have a hard time sweeping it on the ground, or even do it for longer hours. The adjustable shaft can fit any height so young kids can share it. It features single tone audio that indicates target. The louder it is, the nearer the object. It can determine iron and leave unwanted objects but can be altered to locate every type of metal. The preset ground balance enables usage in different soil types. The all-metal mode can be selected for the detector to locate metals regardless of type. This is only possible when the search coil is in motion. Coin-sized objects as deep as 5-inches and can be detected. Its 6.5-inch coil can endure the weather, abuse or neglect of being owned by a child. The control has visual target system, intensity-meter and battery indicator. For only $55 at Amazon, kids will surely enjoy using Ground EFX MC1 Youth, as it can be used on both land and water with the right durability to endure being toyed around by children. It uses simple eliminator to detect metals and target indicator to easily locate target. It will tell you how long the device can still be used before battery dies. It can track metals as deep as 5 inches and 24 feet for bigger metals. The shaft is adjustable by up to 25 inches. It is also lightweight to carry all day long. This 3-pound instrument comes with a coin guide and manual, together with a coin folder and 12-coin wallet. The shaft can be adjusted to 2.25-feet length to suit children of different heights. It is light to enable prolonged use by children. The discrimination control ignores unwanted items. It features two search modes and control box for analogue control of discrimination and sensitivity. The LCD display alerts users of signal strength, while a magnifier can be used for inspection or trowel and treasure. 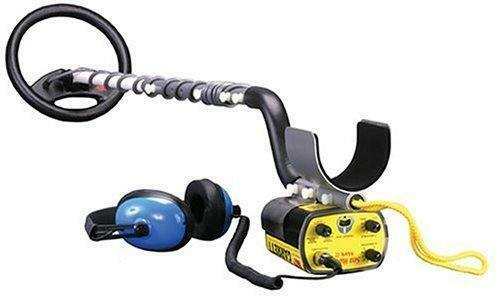 Kids will love using this metal detector for they can collect coins or do basic coin shooting. Coin hunting is a fun outdoor activity that can be enjoyed by people of all ages. It can be a good exercise as well. It offers relaxation, brings excitement and can be done alone or with a group. The best places to use a metal detector for coin hunting are schoolyards, beaches, parks and ball fields. Coin hunting is not just a leisure activity. It is a good way to learn history because in your search for coins, there is a chance to find old ones that you would want to study. Who knows? Some rare old dimes are worth up to a thousand dollars. Also called Coinmaster GT, White’s Coinmaster 800-0325 is sold for $179 on Amazon. It is an affordable midlevel instrument that is also great for beginners. It is easy to use with a target identification that allows users to see and hear targets. It will tell you how deep you need to dig to find the object you are targeting. The pinpoint mode can be altered to all-metal mode so you have control over the kind of searching you want to do. It is suitable for the beach as provided by the 9-inch waterproof spider coil. Coinmaster is also great in low to midlevel trash areas for heavy areas can be difficult in terms of signal differentiation. It is excellent for a customized sweeps and is light to carry for it only weighs 2.5 pounds. With its automatic ground tracking, you can calibrate searching according to the soil’s mineral content. 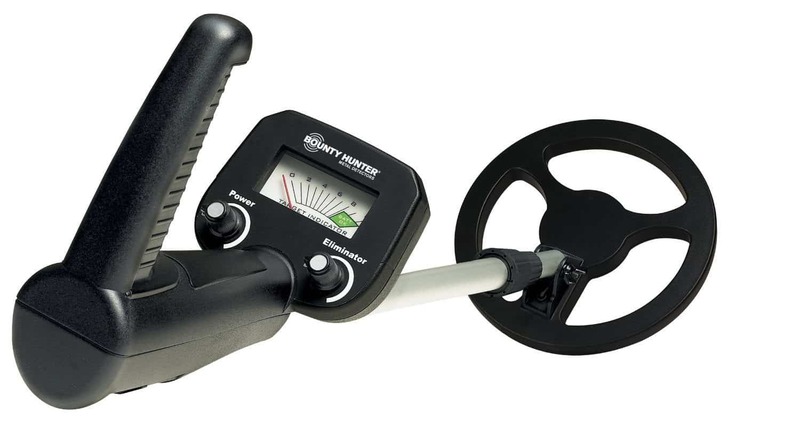 The Fisher F5 metal detector is an instrument that can be used by coin hunting enthusiasts. Its features are quite advanced but the price falls in midlevel category, costing only $446 on Amazon. It combines analog and digital technology, and is fully automatic making it easy to set up and use. The large display shows you the target depth and target identification. You can choose between search mode, all-metal or junk discrimination. Best of all, you can use it on all soil types where you can enjoy computerized ground balancing and detect in difficult areas. It weighs 3 pounds and comes with accessories for easy usage. 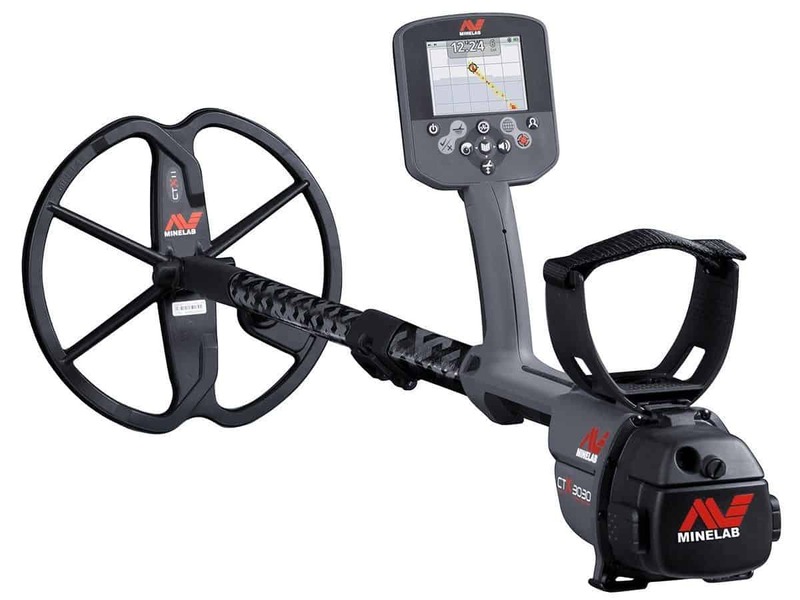 Minelab X-terra 305 is also a great midlevel instrument for detecting coins. It is an entry-level all-purpose detector with easy controls. 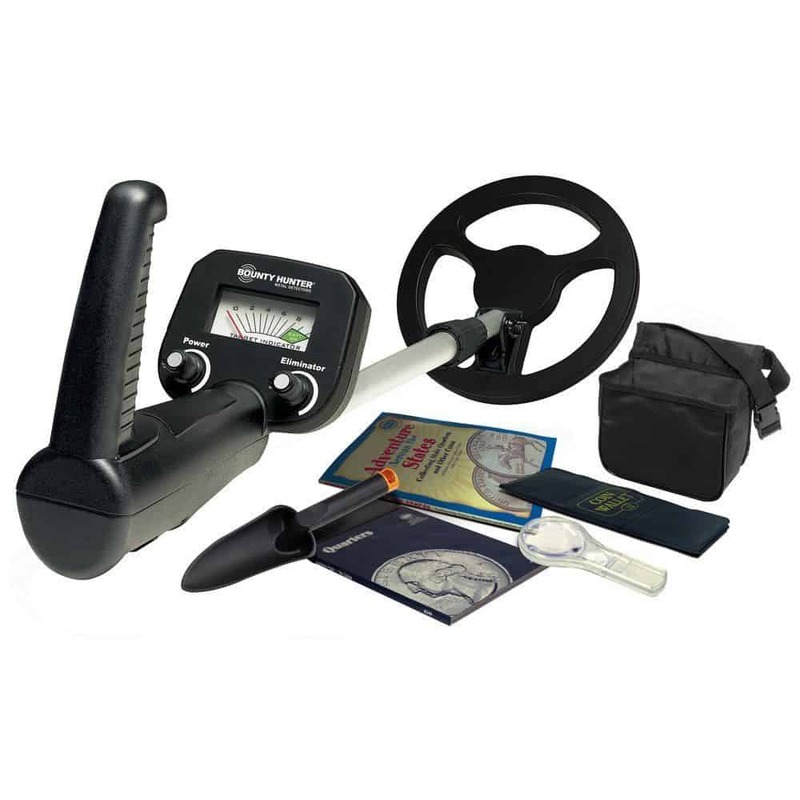 It is highly accurate and carries all the functionalities you would look for in a metal detector. It has pinpoint mode, manual ground balance and custom notching. It will allow you to filter mineralization and background noise so wherever you are, you can do coin hunting. The search coil can penetrate up to 10-inch deep. Its distinct features include multi-tone audio targeting that uses combinations of three tones as well as the coil-dependent frequencies that lets the device operate at a particular frequency depending on the coil attached. Expect to familiarize yourself upon first use, but once you have mastered them, metal detecting becomes more enjoyable that you would not have to glance at the display. Many hobbyists are interested in metal detecting to find something valuable like jewelries or even nuggets of gold. Most metal detectors in the market are all-purpose instruments that can be used for locating different metals, but there are also available detectors that are specifically designed for hunting gold. 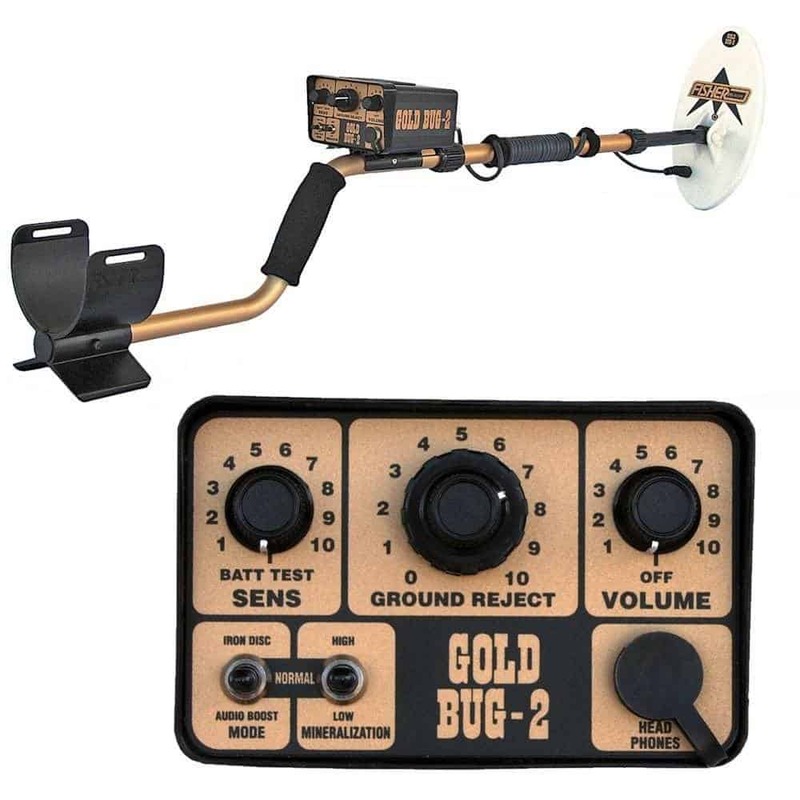 Fisher Gold Bug 2 is a good basic VLF metal detector that costs only $379 on Amazon. It is worth the purchase for it is sensitive in detecting gold. It runs at 71 kilohertz and can locate even tiny gold pieces. You will never go wrong with Fisher Gold Bug 2 for it has a good reputation among experienced hobbyists. It weighs only 2.9 pounds and features audio boost, with the ability to perform in highly mineralized soil. It can discriminate iron and is resistant to dust and moisture. It is convertible to chest or hip mounts with dual knob control for adjustment. Garrett AT Gold can be used for both land and water prospecting. Running at 18 kilohertz, AT Gold has an edge in finding tiny crumbs of gold. It features 3 main pre-programmed modes, the all-metal, Disc 1 and Disc 2. It has the target identification numbers for target value. The iron audio feature works in trashy areas, for you to hear iron signals and potential gold. You can adjust the mid-tones and include targets more than what you discriminate. The instrument can go as deep as 10 inches. 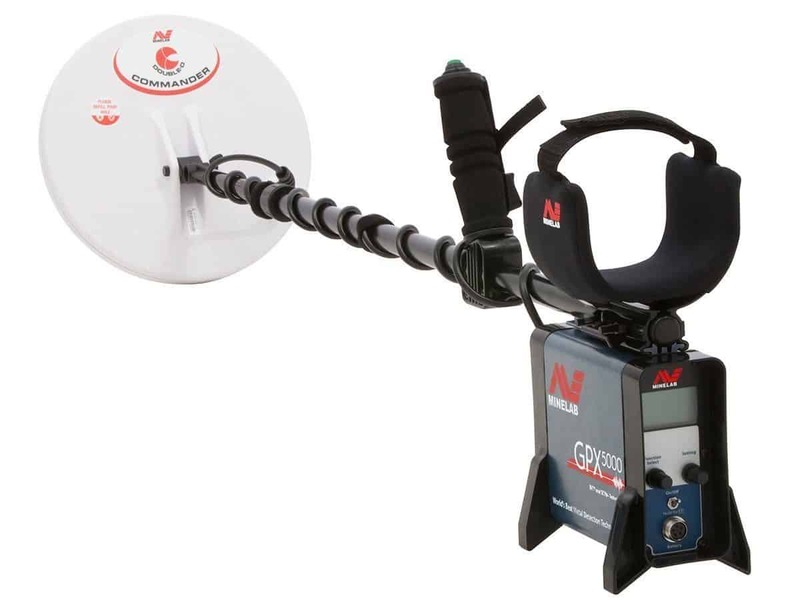 Minelab offers the GPX series of metal detectors, with the last one being GPX5000. It is pricey for a recreational hunter for it costs around $4,000 so it is recommended for experts. The high-end detector would not cost much if it has basic features. It boasts three technologies, the MPS, DVT and SETA that makes it one of the most advanced detectors yet in the market. These technologies make it possible to hear even the tiniest gold nuggets. It can adjust to different kinds of ground with audio adjustments maximizing target signals for both manual and automatic options. Search modes can be preset in six ways according to your preferred setting while the display can be read even on low light, as provided by the backlight. Metal detecting is also fun to do at the beach. 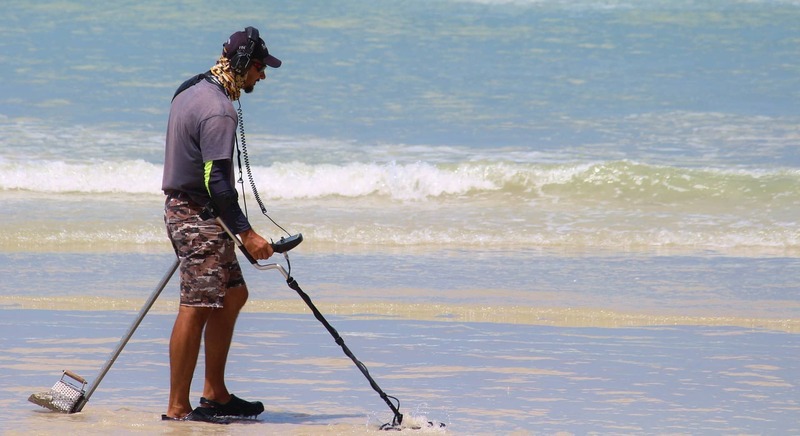 When you are done swimming or doing water activities, you can hunt for metals at your spare time, but make sure you bring the best beach metal detector. Detecting at the beach involves some challenges like dealing with saltwater, hot rocks and minerals. Salt water tends to cause chatter or false signals for it amplifies natural ground minerals. This is frustrating for avid hunters but you can adjust the detector’s ground control and tune it according to the location’s level of mineralization. PI type detectors work well if you intend to spend more time locating metals on the beach. 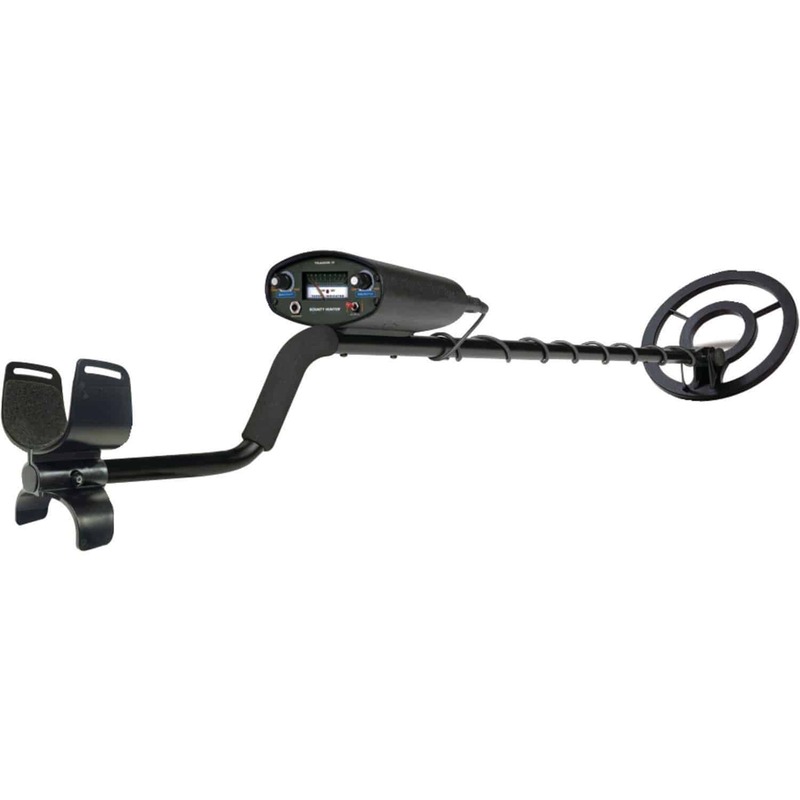 An entry-level metal detector that is ideal metal detector at the beach is the Garrett Sea Hunter. It is designed for use near beaches, lakes and waterways. It features a unique discrete trash elimination technology that can get rid of pull tabs without affecting the sensitivity of coins and rings. It is also great for treasure hunters for its ability to disregard saltwater. Its housing can be mounted above the hip or below the cuff in different configurations. The Sea Hunter II is a PI type submersible detector that accurately discriminates. With this device, you do not have to be bothered by pull tab signals and reach up to 200 feet. Viper Hybrid Trident detector is designed for beginners and experienced hunters who want to locate metals on beach and land. It can be submerged for up to 132 feet with some exclusive features that make it worth the purchase. With its ground balance and automatic preset tuning, there is no reason why you cannot use the instrument anywhere. It can be considered one of the best salt water beach metal detectors. Search through different areas like parks and beaches, even those with large amounts of trashes using the full-range discriminator. Buried trashes tend to slow down detectors, but Viper will not let you down. It ignores useless objects and sends signals only for valuable items. You will not have a hard time at first use, for the control layout is simple and clearly marked. The left know turns it on or off, allowing the user to control the depth of area to detect. The bright light will help see the target when deeper signals are indicated. 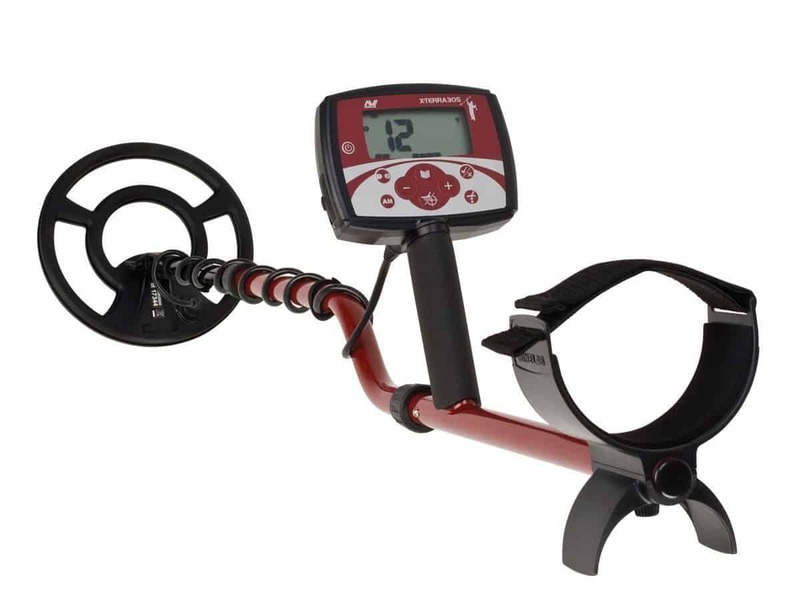 Minelab CTX-3030 is a premium metal detector made for advance level hobbyists. 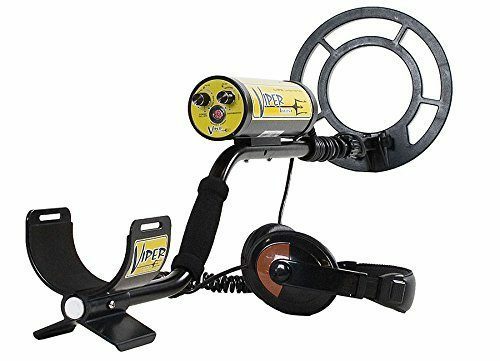 Finding treasures can be fun on both land and water with this metal detector. It can discriminate between junk and trash items while old relics and artifacts can be located regardless of soil type. CTX-3030 can work well on extremely salty saltwater, magnetic ground or wet sand where others perform poorly. You can customize it based on your specific requirements but despite it being highly advanced, it is easy to use. The turn and go simplicity and preset modes make it simple to use for beginners. Other features can be accessed by simple touch of a button. It has wireless audio, PC mapping and GPS locating. It is easy to find the best metal detectors under $300, for there are so many models that are even priced lower than $100. While some people are particular about the price, they would still have a hard time choosing one because of the many options available. Bear in mind that quality is also a major factor to get your money’s worth. We’ve made things easier for you by listing some of the best budget friendly metal detectors. 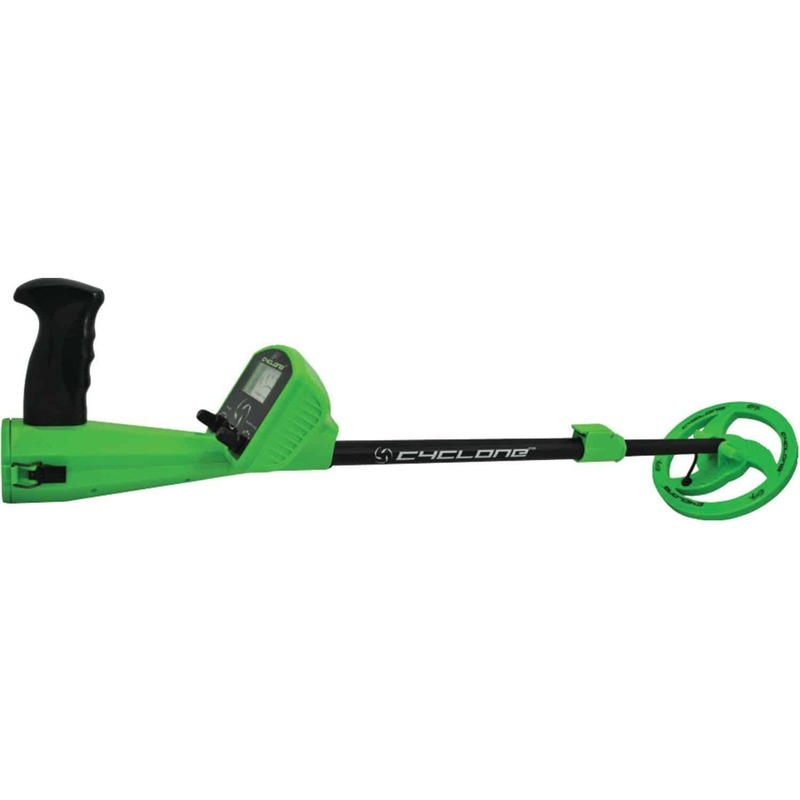 Priced at $177.59 at Amazon, Time Ranger is good for professional use at the price of an entry-level metal detector. 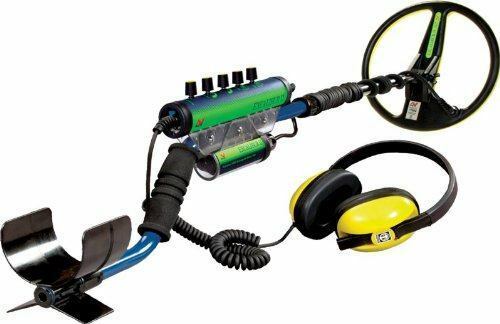 It can pass as the best underwater metal detector for the money as well. It can be submerged in water, with the help of its 8-inch search coil. It features Ground Trac technology that can balance the instrument to the soil conditions. The large LCD display beams with readout feature and highly programmable touchpad. Beginners who are still learning to use detectors will find the control easy to use as it shows the target depth, objects’ identity, sensitivity and battery levels. It also tells the level of iron and discrimination. It has three-tone audio discrimination that works on headphones and built-in speakers. The sniff mode can ignore certain metals and allow a more focused searching. 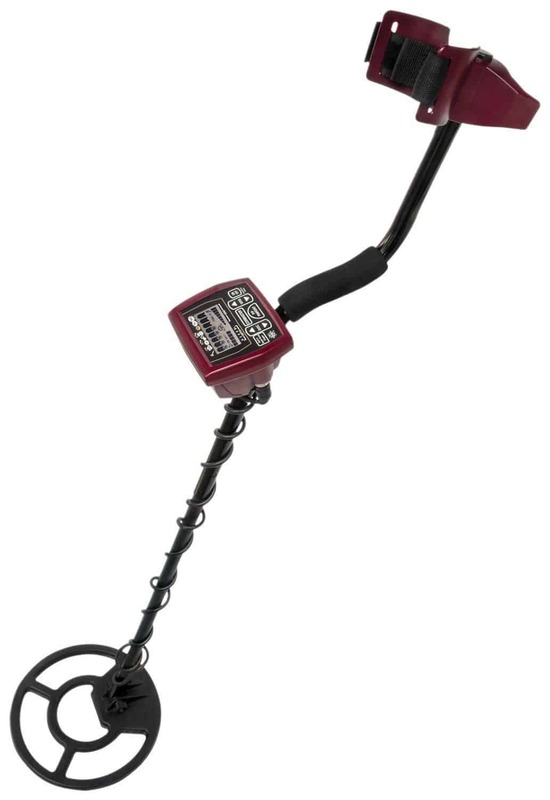 Priced at only $119 an Amazon, this metal detector is excellent for any level of hobbyists. It comes with a one-year warranty, headphones and carry bag, making it a great purchase. It features three modes namely all metal mode, auto notch filter and motion discrimination. Users can benefit from efficient advanced detection for they can choose between the modes and adjust it depending on the type of metal they want to collect. The LCD screen helps avoid unnecessary hunting for it will clearly tell the depth and type of the metal. Headphones are included in the package, which is great to listen to any tone heard from the detector. It is easy to use and very cost-friendly. Lastly, one of the best metal detectors for the money is the Garrett Ace 250, which costs $268 at Amazon. The package comes with submersible search coil, instructional DVD, pouch for storing collections, headphones, bag, batteries and instructional manual. It exudes features that advanced hobbyists would be happy to find. With its unique modes, you can find it convenient to use when hunting for different metals. Aside from three audio sounds, it has a bell tone that sounds when the instrument moves over targets. It also has a fade out time and distinct ring so you can scan areas of land for relics. It features 8 sensitivity levels and 5 different patterns of discrimination and custom notching. With these options, hunters have complete control over the detector. The best metal detector is one that works for you. You might just be starting out with the hobby or you are already an experienced hunter. For newbie, you might consider other items such as shovel or bag to carry your discoveries. Determine how often you intend to use the instrument. Perhaps there is no need to buy an expensive model if you are out to go for hunting only on weekends or when time permits. You can go for simpler models with not so advanced features that may complicate the process or add to the price. 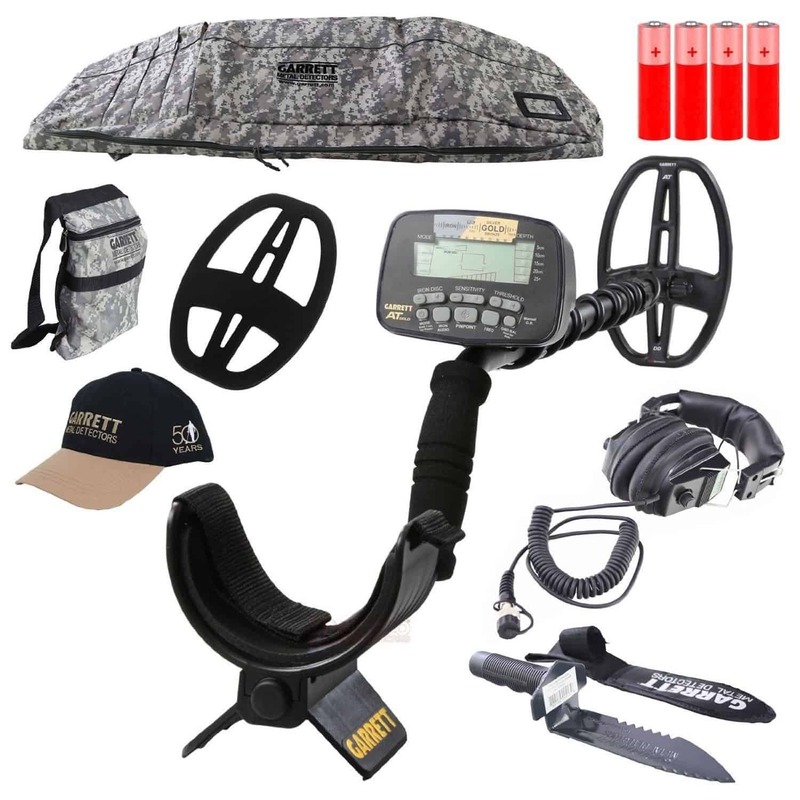 However, if you have decided on making metal detecting a part of your life, you might as well invest on something that is packed with features and a price you can afford. 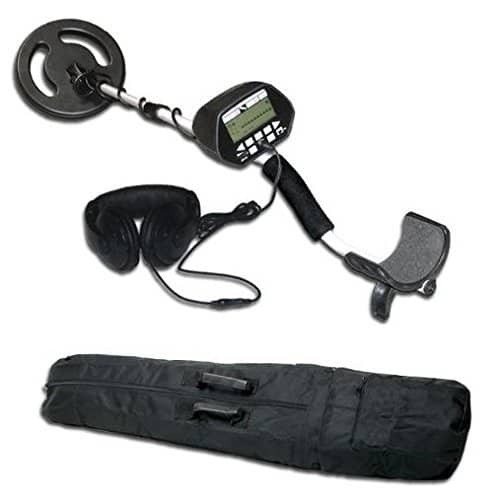 If you are thinking of buying a metal detector that the whole family can use, choose one that has adjustable components. This makes it possible for the device to be used even by children. You can also go for something that is lightweight so everyone can enjoy using it even for longer periods without straining the arm or back. The height is also an important consideration. It is not smart to use a detector that requires a lot of bending just to search for a coin. As mentioned, metal detecting can be challenging for particular type of soil. You can go for detectors with ground balancing. This allows you to search in soils with higher concentration. If you want to search on beaches, look for models that can be adjusted to use at different areas so you don’t have to buy something expensive like specialized salt water detectors. Metal detecting, like other outdoor activities, involves different levels of experience. Some people even get assistance from trainers before they claim themselves experienced hunters. The good news is, there is a metal detector for every level of experience. However, simple and sophisticated detectors tend to be more expensive. Experienced hobbyists do not need to buy specialized detectors but inexperienced ones need the help they can get. You have to be careful in picking the type of detector to buy especially if you intend to work on land mines or the like. Some people who are into treasure hunting are knowledgeable about a particular treasure. There are metal detectors designed for this task based on the composition of the treasure. Some models may not determine the metallic composition of the items found in mines. Wrong purchase could lead to waste of time and money. It is important to figure out how you plan to use the device and in this regard, the manufacturer is the best source of information before making any purchase. Models that are more expensive can guarantee accuracy in metal detecting, but this is not always the case. This is where knowledge in metal detecting proves to be very useful. You might end up with a flashy detector with poor functionality. Looks is not a priority in buying a metal detector. In every product, what you need to consider the value for money you are getting. Take the above considerations carefully. Metal detecting is not a new craft. In fact, metal detectors have been developed since the 19th century. It only gained prominence after World War II with the intent of clearing mines. Since then, it developed and sustained by supply and demand. Treasure hunters seek metal detectors that could perform better while manufacturers invested more money on research. This has resulted in innovations year after year. The market is now very competitive, while consumers benefit from having as many options. However, this could also lead to confusion but with the wealth of information found online, there is no reason to settle for anything less than the best metal detector. Again, patience and research are enough for you to get your money’s worth. While it is challenging to buy a new metal detector, the joy of being able to own one and enjoy the hobby is worth the initial difficulty.